It's safe to say that most parents are busy and things can go from calm to hectic as soon as the baby is brought home from the hospital. For most parents, that's just the beginning. There will be plenty of sleepless nights, countless diaper changes plus all the other things new parents have to do. And as children get older new levels of busyness will be reached, as parents will have to chauffeur kids back and forth to school, along with driving them to their social events and school-related activities. So how can parents stay on top of everything? Better yet, what's the best way for parents to capture and document all the events in their child's life? Back in the day, Mom and Dad would simply pull out a camcorder to capture a special moment and way back in the day, parents would grab one of those old home projectors and show footage on a screen. But today, there are all kinds of apps, gadgets and sites out there that can make capturing moments easier -- like the site MyOwnLittleStory.com. Created by a mother of three, MyOwnLittleStory gives parents email reminders of certain milestones throughout their child's life, and gives them the ability to upload photos and share them with family and friends. And there's Oogababy, an app that lets parents track their child's progress and match it up to national statistics created by the World Health Organization. There are even some cool apps that help out expecting parents like 320,000 baby names. This app allows parents to search through thousands of baby names from different parts of the world, and you can add the names to a favorites list for further consideration. In addition, you can add filters to your name search so you can look for names by language or by other criteria. Arguably, one of the most useful parent apps on the market today is Tweekaboo, which helps parents document the special moments in a child's life and helps families stay better connected, says the apps' creator. "In a nutshell, Tweekaboo is the story of your child's life," said Eugene Murphy, CEO and creator of Tweekaboo, in an interview with ConsumerAffairs. "It's a bit like a family album merged with messaging. 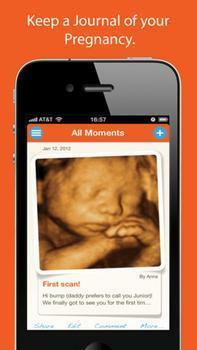 It's a super easy way to save, share and relive the everyday moments of our children's lives using your phone. As you share on Tweekaboo, we turn your moments into a timeline that quickly build into a priceless stream of memories." The app is still relatively new, but Murphy says user feedback has been great so far. "The user feedback has been very powerful," he said. "Our users love Tweekaboo. It's a cool thing to do and it becomes very addictive. The reviews on the App Store are typically 5 and very emotional." "We make it easy for our users to remember the everyday moments that they would otherwise forget and as one of our users told us last week, 'It's a bit like watching your kid grow up again,' "said Murphy. And Tweekaboo not only allows you to capture your child's special moments -- it helps in other ways too. Parents can write notes to their children as the kids grow older, save text messages and snap photos of their artwork. Plus, parents have the choice to either keep photos and information private or share them with friends and family members. And all of the information is kept secure, says Murphy. "On Tweekaboo your content is 100% private by default," he advised. "There is no public setting. If you do wish to share on Tweekaboo, you decide who to invite and they have to register with a username and secure a password before they can view and comment on your moments. "We use industry best standards when it comes to security," he adds, "and data communication and our servers are hosted on Amazon's AWS, the number one provider of cloud storage in the world." In addition, Murphy says using smartphones to capture what children do makes perfect sense these days, since our phones are always with us. "Our lives are captured on our phones now," stated Murphy. "They're full of photos and videos and messages, but everything is fragmented and disorganized. Every conversation we have with our partners and family flows through our phones. So for us, it made complete sense to use smartphones for Tweekaboo. You can capture a moment as it happens, save it to a safe place in the cloud, share it with family and get on with your day." Lastly, Murphy says documenting your child's moments the traditional way can be difficult and time consuming, which is why a lot of moments don't get captured. "Using old paper-based diaries or albums, you had to remember to write stuff down and in general, I never had the time to compile all of our kids' memories into one place," he says. "As a dad of four, Tweekaboo is something I built to make it easy to hold onto my own children's memories. As a working parent, I realized that the moments Caroline shared with me every day while I was at work told the real story of our children's lives. "Tweekaboo is a quiet place where families can come together to share moments, and the comments and emotions from family are all preserved for you and your children to relive forever," said Murphy.